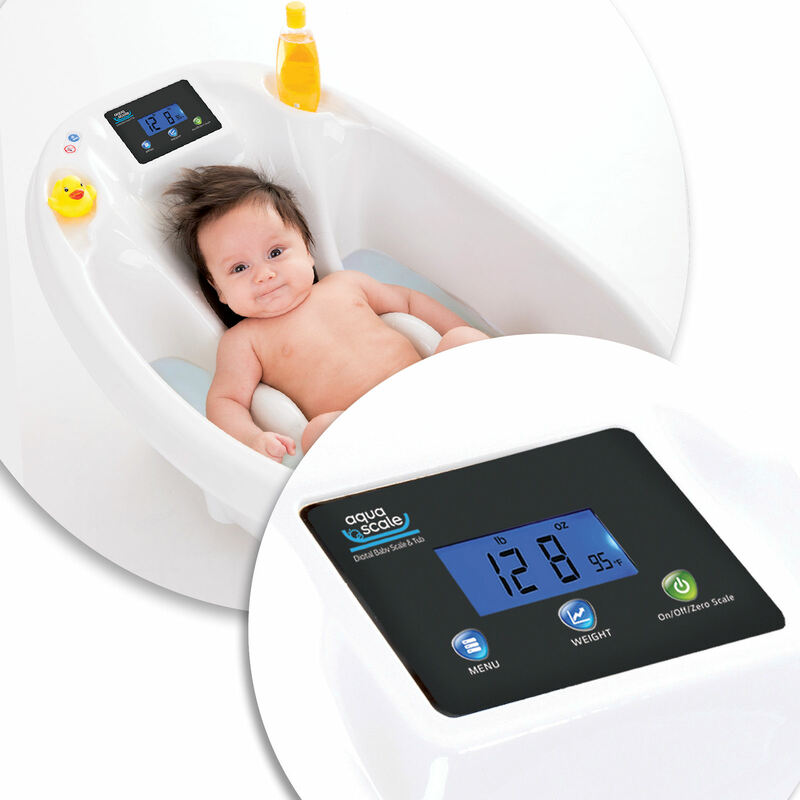 The unique New Aquascale 3-in-1 digital baby bath aids relaxed and confident bath times whilst monitoring your baby's healthy weight gain. 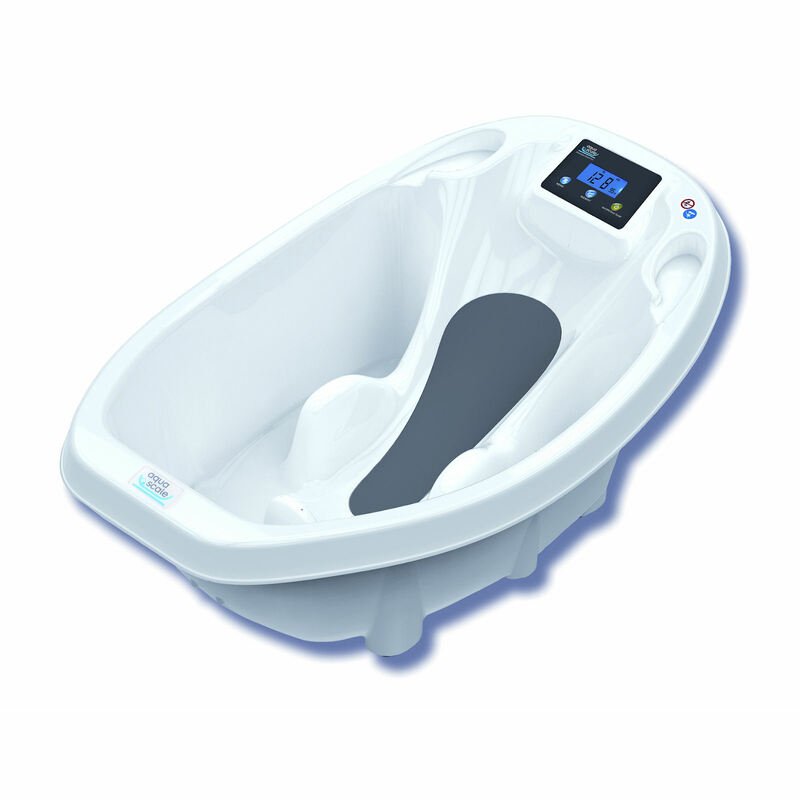 It costs a great deal less than buying a separate tub, thermometer and scales and takes up considerably less space too! The bath size is ideal. I am using it with my 3 months old baby, The removabal support doesn't stay fix while I'm bathing my baby. I have to keep my hand on it to avoid my baby to sleep further down. In my point of view, it's not safe at all until the baby is at list 9 months. 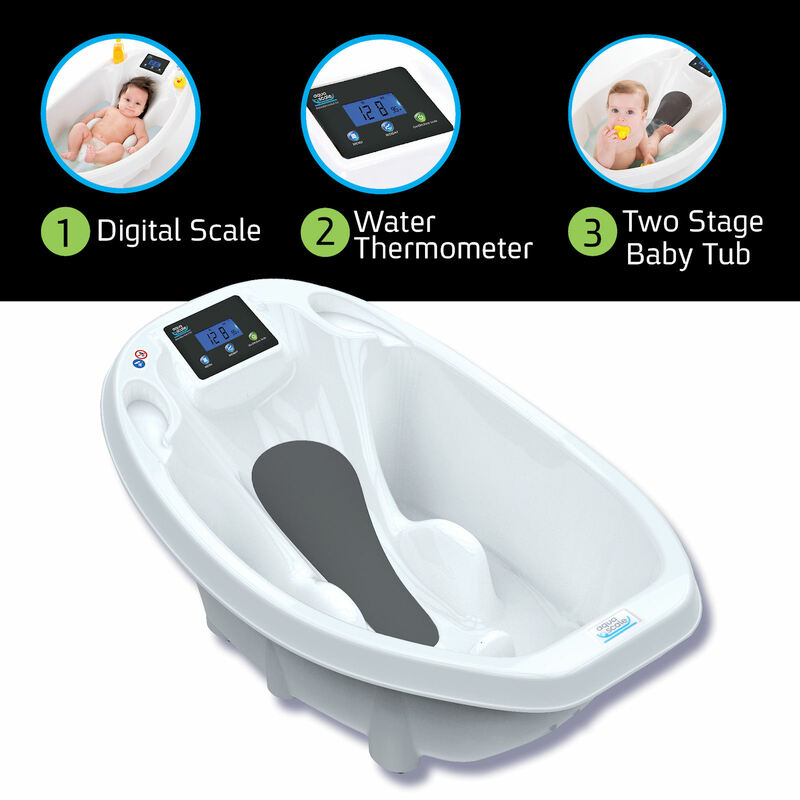 Also the temperature indicated on the screen is 2 degrees difference with an other baby bath thermometer. Aqua scale indicates the water 39 degrees and the other thermometer says 37 degrees.